Romain De Senam on the way to completing a treble with Welsh jockey Lorcan Williams at Fontwell. Lorcan Williams, who hails from West Wales, had four rides for legendary trainer Paul Nicholls at Fontwell and won on three of them (writes Brian Lee). 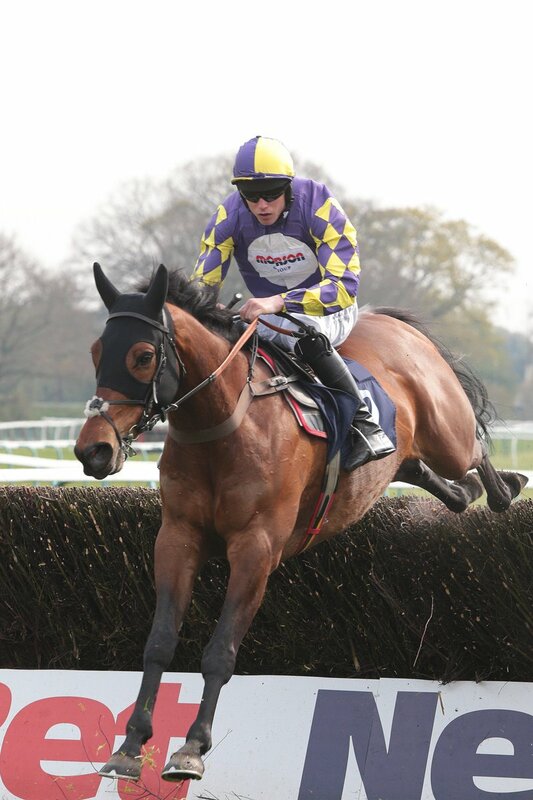 After finishing a length runner-up on the top weighted Tomorrow Mystery to Magical Thomas in the opening Handicap Hurdle, the former point-to-point rider won the next three races at the Sussex course. He took the novices’ chase on Captain Cattistock, the novices’ hurdle aboard Dande Idol, which had been second in its three previous starts, and then the handicap chase on Romain De Senam. Odds-on favourite Captain Cattistock won by one-and-a-half lengths from the Kim Bailey-trained Station Master, while Danse Idol, the 100-30 on favourite, came home seven lengths ahead of Double Treasure. Romain De Senam, a 6-4 chance, had a length to spare over Jamie Moore’s mount Not Another Muddle the 11-8 favourite in a field of four runners.